This book examines laughter in the Shakespearean theatre, and is the first study to focus specifically on laughter, not comedy. 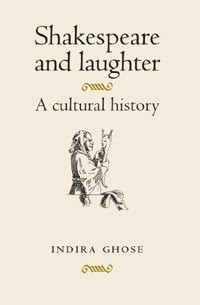 It looks at various strands of the early modern discourse on laughter, ranging from medical treatises and courtesy manuals to Puritan tracts and jestbook literature. It argues that few cultural phenomena have undergone as radical a change in meaning as laughter. Laughter became bound up with questions of taste and class identity. At the same time, humanist thinkers revalorised the status of recreation and pleasure. These developments left their trace on the early modern theatre, where laughter was retailed as a commodity in an emerging entertainment industry. Shakespeare´s plays both reflect and shape these changes, particularly in his adaptation of the Erasmian wise fool as a stage figure, and in the sceptical strain of thought that is encapsulated in the laughter evoked in the plays. For more information, click on the link in the title above. Category: Cultural Studies, History, Literature, Theatre Studies	925 Comments.